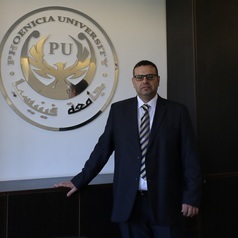 Dr Samarji is the Assistant Dean of the College of Arts and Sciences and the Head of Education Department at Phoenicia University, Lebanon. His expertise is in the areas of maths education, STEM education, forensic science education, ICTE, and curriculum internationalisation. Dr Samarji obtained his PhD from Victoria University, Melbourne, where he held a full-time academic position as a lecturer in maths and science education for nearly five years. He is currently an honorary fellow of VU, where he is still supervising a couple of PhD students till completion.